The island of Corfu – also known as the Emerald Island due to its abundance of olive groves and cypress trees – is the largest of the Ionian islands. With its 57 beaches (! ), it is an ideal beach holiday destination. We spent nearly three days exploring this gorgeous island at the end of October and were blessed with glorious sunshine while tasting some lovely local delicacies and excellent wine. Our first day started off by meeting our resort manager Anne at Corfu airport, who has lived on the island of Corfu since the 1970s and is a walking encyclopedia of information on all things Corfu. She was full of incredible knowledge, including the history of Corfu, its culture and top tips on where to go (including some ‘hidden gem’ restaurants amongst the island’s backstreets). Anne meets and greets all of our Villa Select guests, usually on their second day after their arrival, to check that they’ve found everything they need, as well as offering great advice. She swept us away for a quick refreshment pit stop – and what better place to take us to than the viewing spot for many avid plane spotters, overlooking the Vlacherna monastery and Mouse Island. Unfortunately, the weather was just awful as you can see from the photo below, with pure sunshine and a cloudless sky, with the temperate in the mid-late 20s! We certainly hadn’t prepared ourselves for this, and our colleagues back in the UK were definitely green with envy! 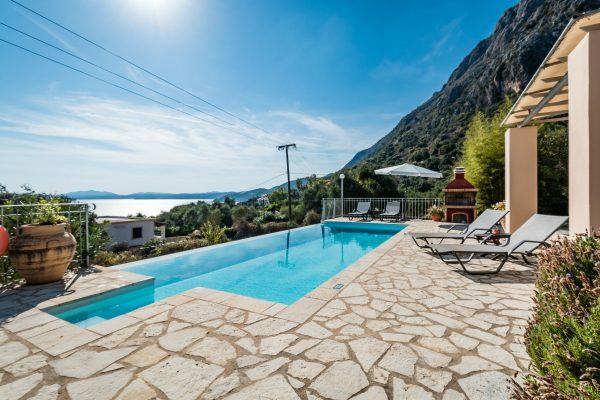 Later that day we visited the new Ikos Dassia resort, where we feature two three-bedroom villas Villa Selini and Villa Orestes. This luxury all-inclusive complex is incredibly inviting and the staff were very attentive and welcoming. Right there and then we felt like getting our bags in from the car and staying put for the remaining three days! It has everything you need for a perfect relaxing holiday with something for everyone to enjoy. We were given the grand tour around the entire complex, starting with the two hotels. Each hotel featured their own large pool and bar, along with relaxing indoor spas including an indoor pool and a variety of treatments (at an additional cost). Across the two hotels there is a wide selection of restaurants – including six à la carte restaurants as well as a Mediterranean buffet-style restaurant – so there is plenty to choose from, with something to suit every guests’ tastes. Guests also have the option of dining outside the hotel at one of the few dine-out restaurants nearby – at no additional cost and with transport provided. The complex has direct access to the beach, with luxurious sun loungers and plenty of watersports to choose from. A golf buggy service is available to pick you up and take you wherever you need to go within the complex, an added benefit to your relaxing holiday. For those that love the idea of their own private villa within hotel style facilities, this is definitely a place to try. During our trip we stayed in Villa Odyssey, which is located next door to its sister villa, Villa Sibyl. 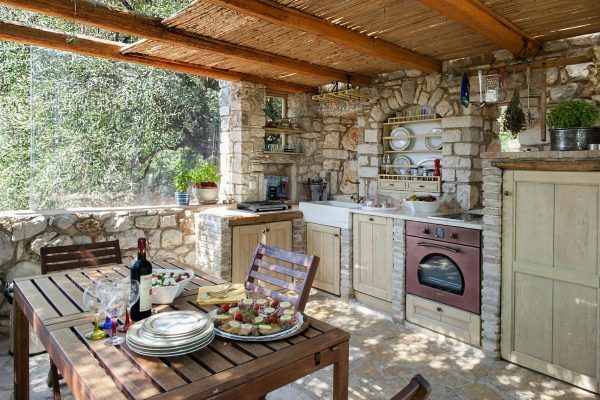 Both these villas gave a homely feel and can accommodate up to 12 guests together, which is perfect for larger groups or families. Both villas boast stunning sea views which can be enjoyed from upstairs balconies, giving opportunities to soak up the sun whilst enjoying the uninterrupted views. One afternoon we caught the coach from the bottom of the road where Odyssey, Sibyl and The Watch Tower are. 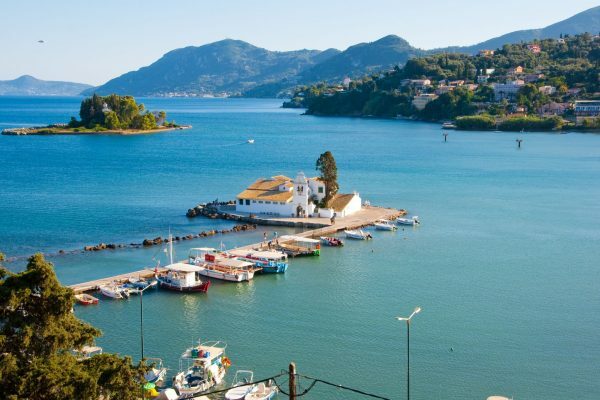 This is a great opportunity to be able to go into Corfu town, for less than €3 per person! It took roughly 30 minutes to get there and it picks you up from the stop just a short walk from the villas. 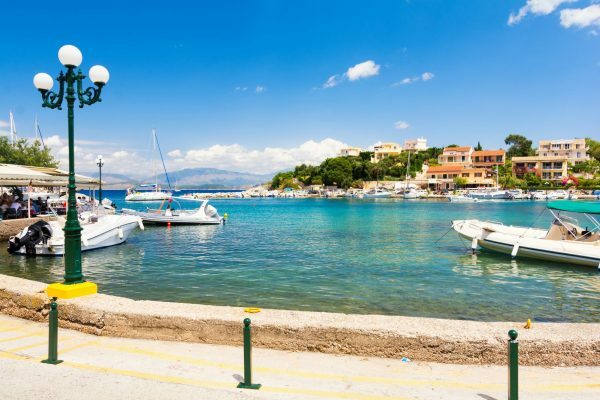 From here you can either stop off at nearby towns or carry on right into Corfu town – which is beautiful. We recommend visiting the traditional restaurants here, as the food was delicious and had a large selection to choose from, as well as a great atmosphere created with both locals and tourists. These modern villas are next door to one another and have been completed to a very high standard, which you can see by simply opening the gate and stepping into the gardens. From here you can really see the love given by their owners, especially with how immaculately they are kept both inside and out. These villas are located just 250 metres from a small shingle beach and just slightly further from the main beach at Dassia. Both of these villas are in an idyllic spot if you’re looking for a private and peaceful hideaway with picturesque views. And just a short drive down the hill is the traditional village of Agios Stefanos, where you can enjoy a small selection of local tavernas and a small pebbled beach. This small village in Corfu is based on the north-east coast, where you can find a wide selection of shops, bakeries, restaurants and bars. We enjoyed having lunch here right by the water, where we got to watch the boats go by and sample traditional Greek delights. It was soon time to get back to work and continue the villa inspections in this resort, which were just on the opposite side of the harbour. These three sister villas are located next door to one another and are just a short walk (approx. 200m) to the village of Kassiopi. Each commands a frontline coastal position with uninterrupted sea views, as well as providing spacious accommodation on several levels for the whole family. Whilst these properties are sister villas each property is cleverly positioned for some additional privacy. 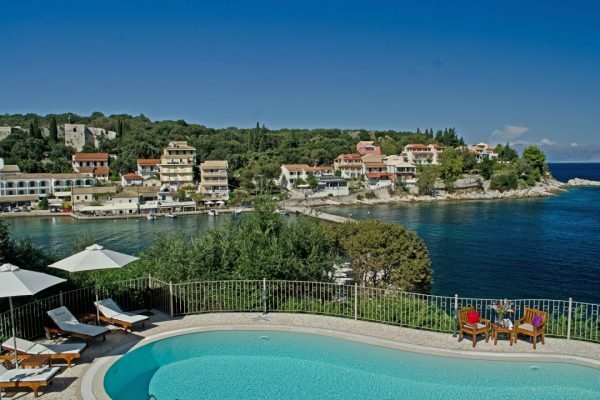 From the resort of Kassiopi these three properties really stand out, and we’ve had many clients book from just being in the resort and wanting to stay! These three villas could certainly be renamed to ‘Location Location Location’! Sadly, the trip had to end at some point, but while en route to the airport our resort manager Anne decided to take us for one last Corfu treat at a hidden patisserie – something no tourist would have found! It was just five minutes away from the airport amongst a street full of restaurants, cafès and bars. We stopped here for a bite to eat and found the many counters were full of freshly baked sweet and savoury options. We would certainly recommend avoiding the airport sandwich or burger shop and allowing an additional hour before your flight to stop here. We all thoroughly enjoyed the trip and would each return with our own families for a Corfu private villa holiday. 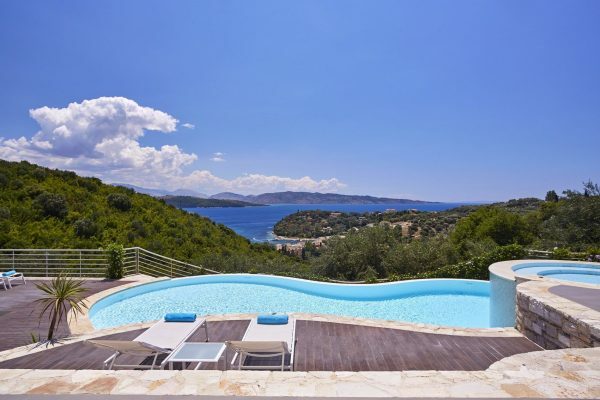 If you’re interested in experiencing Corfu for yourself then take a look at our amazing selection of villas or get in touch with Eve our Corfu Travel Specialist for a bespoke quote.